What is thought leadership PR? As most of our lovely clients will tell you, thought leadership is a staple comms tactic here at Luminous PR. However, when we’re explaining our services at networking events and new business meetings, we’re often asked to explain what it means. If you’ve never come across the term ‘thought leadership PR’ before, we forgive you for thinking it’s just another piece of vague business jargon. Generally, thought leadership is better suited to B2B campaigns. It works best for targetting business decision-makers, whatever sector you operate in. Something like influencer marketing is more appropriate for B2C brands. Unlike more traditional PR – where you send out a press release – you don’t need any ‘news’ (such as funding announcement, new products or partnerships, etc). When thinking about ‘thought leaders’, figures like Tim Cook and Richard Branson may automatically spring to mind. In fact, anyone can be a thought leader. All you need is an interesting, genuine opinion and a way of appropriately broadcasting those opinions to a relevant audience. Channels such as your company blog and social media channels (particularly LinkedIn) are useful for this. When you start using the media, this is when thought leadership becomes thought leadership PR. There’s a good reason thought leadership PR is a passion of ours – it’s proven to make a positive impact on B2B brands. Basically, thought leadership shows your target audience of decision-makers that your business knows what it’s talking about – and helps convince them to work with you. How to do a thought leadership PR campaign? 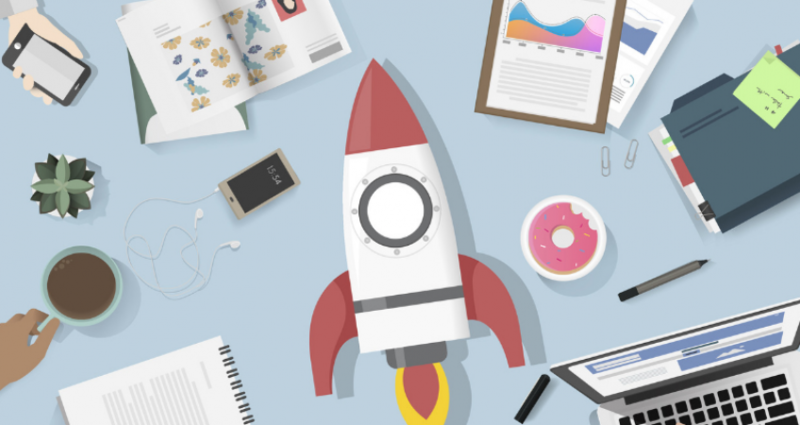 There are a number of different ways businesses can get started with thought leadership: responding to journalist requests, newsjacking, and pitching bylined content. Generally, we use a mixture of all three when providing these sorts of campaigns for clients. Journalists are always on the lookout for interesting stories and case studies to add to their writing. As well as doing their own research, sometimes journalists will invite people to send them information. There are a couple of tactics you can use to spot these requests. If you use a tool like Hootsuite or TweetDeck to manage your social media, an easy way to monitor these hashtags is to set up a dedicated stream following them. There’s also a free daily email roundup of all the #JournoRequest tweets – you can subscribe here. If you’re lucky enough to work with a PR agency, they will have additional tools that can help you find journalist requests. Most PRs use special software that sends requests straight to their inbox. Examples of this are Response Source, Gorkana, Press Plugs, and Help a Reporter Out. Unlike scrolling through requests on Twitter, this software allows you to filter by topic so you only have to see content relevant to you. Unfortunately, this software can be very expensive, so is not usually an option for businesses doing their PR in-house. Once you spot a relevant request, go ahead and reply! Bear in mind that journalists are usually inundated with information, so you should only respond if you are really relevant. Just send over a brief statement (bullet points is fine), answering any questions the journalist has asked. If they are interested in using your story, they may ask some additional questions or set up an interview. Never keep journalists waiting – they’re often on tight deadlines. Respond quickly, or they may lose interest and look elsewhere. We have already covered newsjacking on the Luminous blog. Basically, it involves using news topics that are already trending to gain exposure for your business. The beauty of newsjacking is that you don’t need to generate a buzz about a story — the buzz is already there. You’re just slotting your brand into the conversation. When a news story breaks that is super-relevant to your business, you may have something interesting to add to the conversation. For example, you might disagree or support a new piece of business legislation, or have an opinion on how it will affect your sector. Once you’ve formed an opinion, prepare a short statement and start by sharing it with journalists who have already covered the story. If it’s a big piece of news, they may need content for follow-up stories. Then approach other publications who might be interested in your take on the news. With both newsjacking and journalist requests, you must be timely and relevant. This is the most effective – but time-consuming – way of doing thought leadership PR. It involves approaching B2B and trade publications and providing them with opinion-lead articles you have written yourself. The reason this is so successful is that many B2B publications can’t produce enough content for their requirements in-house. 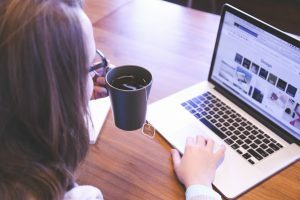 ‘Bylined content’ means that the article will be attributed to whoever in your business wrote it, that’s how it will promote their profile as a thought leader. However, the biggest downside of this thought leadership approach is that you have to do all the writing yourself. Not only does this require you to have strong writers on the team, but it is also time-intensive. Your brief should be clear, concise, and interesting! Don’t be afraid to show an opinion, or even be a little controversial. We hope this post has provided you with enough knowledge to get started with thought leadership PR. Any questions? Get in touch – we’re happy to help. Many smart businesses have a hard time pinning down just what public relations is. 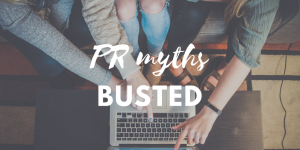 Let's bust 5 common PR campaign myths in this blog post. 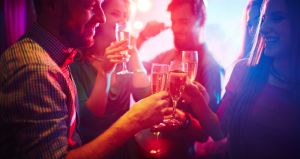 Launching Your Small Business Or Startup With A Party? Plan The Perfect Gathering With Our 13 Step Launch Event Checklist.